This is a copy of an article published in the Encyclopedia of Social Problems, edited by Vincent N. Parrillo. Sage Publications, 2008. Also available in pdf format. Please cite as: Deflem, Mathieu. 2008. “Terrorism, Counter-Terrorism Approaches.” Pp. 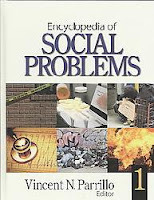 929-931 in Encyclopedia of Social Problems, edited by Vincent N. Parrillo. Thousand Oaks, CA: Sage Publications. Terrorism is a complex phenomenon with many dimensions which vary in intensity and scope across time periods and have varying degrees of impact and significance in different regions of the world. Counter-terrorism approaches, in consequence, are likewise multifaceted in kind to offer appropriate responses to the threat and reality of terrorism on a local, national, and international level. Although political objectives lie at the heart of most terrorist violence, enactment of counter-terrorism strategies not only occurs at the government levels of nation states and their international unions, but also extends to many other institutions and organizations. Historically, counter-terrorism strategies have at least two important precursors. First, in the middle of the 19th century, autocratic political regimes in Europe responded to political dissent of a more or less violent nature by organizing national and international police and surveillance practices. Among these efforts were police activities involving covert surveillance practices as well as cooperation activities, on a bilateral and multilateral scale, to exchange information on wanted political opponents of established autocratic regimes. Police institutions conducted these activities and, in the course of their activities, gradually gained professional expertise and autonomy to focus attention towards more distinctly criminal rather than political enforcement objectives. Second, developments in the area of international law occurred to outlaw and institute appropriate practices against politically motivated violent activities. Most distinctly, in the late 19th and early 20th century, governments signed treaties that led to organized international efforts against anarchist movements. Similarly, the first international treaty specifically dealing with terrorism was in 1937, when the League of Nations drafted a convention on the ‘Prevention and Punishment of Terrorism’. However, only one country, India, ratified the agreement, testifying to the ideological difficulties within and across nations to enact measures and foster collaboration on a matter as politically volatile as terrorism. During the remaining decades of the 20th century, government policies and legislative actions against terrorism evolved slowly and in piecemeal fashion, typically focusing only on specific violent and criminal activities often associated with terrorism, such as hijackings and bombings, rather than on terrorism as such. For instance, the United Nations adopted a convention on the Prevention and Punishment of Crimes against Internationally Protected Persons in 1973 and on the Taking of Hostages in 1979. Similar international treaties against terrorism were adopted by other international governing bodies, such as the Council of Europe and the Organization of American States, as well as at the bilateral level between nation-states. International treaties, however, could not lessen terrorism as an often contentious issue in the global field of international relations. In the United States, legal and policy efforts against terrorism developed even slower than in the international arena, primarily because of a prevailing view that terrorism was a foreign problem. During the Reagan administration emerged the Act to Combat International Terrorism (1984) and an Omnibus Anti-Terrorism Act (1986). Yet, it was not until certain high-profile terrorist incidents, such as the bombing of the World Trade Center in 1993 and the Oklahoma City bombing of 1995, that the Clinton administration stepped up legislative efforts against terrorism, leading to the Antiterrorism and Effective Death Penalty Act of 1996. Despite the gradual increase in legislative and political responses to terrorism during the late 20th century, the enormous impact of the terrorist attacks of September 11, 2001 on counter-terrorism approaches was unpredictable as counter-terrorism efforts expanded considerably both on the national and international levels. The United States took the lead in passing the USA PATRIOT Act, allowing the detention and trial of terrorist suspects in military tribunals, and creating a new department, the Department of Homeland Security, specifically designed to respond to the terrorist threat. Furthermore, counter-terrorism measures expanded to the military field when the United States and selected NATO nations undertook military operations in October 2001 against the Taliban government in Afghanistan, which was offering support to al-Qaeda members. The military invasion in Iraq in March 2003 was politically incorporated in the so-called war on terror, thereby giving that expression more than mere metaphorical meaning. Although revelations about the decision to invade Iraq showed it less clearly related to the terrorist threat, ongoing conditions in Iraq as well as the internationally contentious struggles over the war’s relationship with terrorism have influenced the debate over the proper response to terrorism. Most remarkable is that many nations across the world and a variety of international governing bodies instituted new legislative and political policies similar to those implemented in the United States. For instance, new anti-terrorist laws expanding policing powers against terrorist suspects passed in many nations also considered under the threat of international terrorist groups. International governing bodies, such as the United Nations and the European Union, similarly adopted new measures to ensure international cooperation against terrorism. What these developments show is a trend towards the treatment of terrorism as an issue of national and global security. In spite of the growing significance in counter-terrorism of matters related to security, warfare, and military might, counter-terrorist activities are comprised of a multitude of political, legal, military, economic, and cultural efforts, which are not always in complete harmony with one another. Most conspicuous at the level of formal state institutions are the extended counter-terrorist powers granted to law enforcement institutions. Strikingly, police organizations conceive of terrorism as a distinctly criminal enforcement problem requiring response with technically sophisticated means of policing. Police counter-terrorism responses, both within nations and at the international level, thus demonstrate the relative autonomy of police to determine the proper means and to specify the objectives of their counter-terrorism activities. The reorganization of police power under conditions of an intensified concern with terrorism may lead to structural adjustments that will have effects long after the more immediate repercussions of the terrorist threat have faded. Moreover, police institutions might pay relatively less attention to other enforcement tasks and thus exacerbate criminal conditions unrelated to terrorism. Furthermore, because police organizations are not alone in conducting counter-terrorism activities, they increasingly confront the counter-terrorism operations of other state institutions, such as rival police organizations (e.g., the Federal Bureau of Investigation in the Department of Justice, and Immigration and Customs Enforcement in the Department of Homeland Security), intelligence organizations, and military institutions. For example, police and intelligence efforts in counter-terrorism do not always neatly harmonize, as policing activities focus on suspects in criminal cases, while intelligence work involves the routinized collection of information irrespective of a criminal incident. The new realignments of police, intelligence, and military brought about by the intensified focus on terrorism pose important problems of jurisdictional authority, the appropriate methods and means of inter-agency cooperation, and the relationship between civilian police and military power from a functional and organizational point of view. Besides inter-agency cooperation within nations, moreover, the international nature of the current terrorist threat also places a premium on international counter-terrorism cooperation. The centrality of international cooperation applies to various levels of counter-terrorism, including treaties of international law, diplomatic efforts, police cooperation among nations and participation in international police organizations such as Interpol and Europol, coalitions in military operations, and the imposition of economic sanctions against nations that harbor or support terrorist groups. Interestingly, growing international cooperation in matters of terrorism has not yet fostered a truly global climate of counter-terrorism inasmuch as national interests, concerned with the more locally confined implications of terrorism, remain paramount. Again showing the multifarious nature of counter-terrorism, international counter-terrorism activities also include attempts to build public support against terrorist groups and practices and, relatedly, to foster the spread of democratic values across the globe. Presumably not unimportant in this respect are also the efforts taken in the academic research community to study the mechanisms, causes, and effects of terrorism and counter-terrorism as well as the activities undertaken by civic groups to ensure a climate to obtain a sufficient degree of effectiveness in counter-terrorism strategies without sacrificing civil liberties and human rights. Deflem, Mathieu, ed. 2004. Terrorism and Counter-Terrorism: Criminological Perspectives. Amsterdam: Elsevier. Deflem, Mathieu. 2004. “Social Control and the Policing of Terrorism: Foundations for a Sociology of Counter-Terrorism.” The American Sociologist 35(2):75-92. Deflem, Mathieu. 2006. “Global Rule of Law or Global Rule of Law Enforcement? International Police Cooperation and Counter-Terrorism.” The Annals 603:240-251. Heymann, Philip B. 2003. Terrorism, Freedom, and Security: Winning Without War. Cambridge, MA: The MIT Press. Pious, Richard M. 2006. The War on Terrorism and the Rule of Law. Los Angeles, CA: Roxbury.